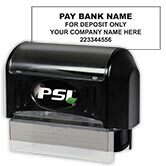 For quantities over 5000, please contact customer service. Use the Great Plains v2&3 Accounts Payable Check (versions 2 & 3) to pay multiple invoices while only using a single check! Great Plains software was acquired by Microsoft in 2001. You may be using Microsoft Great Plains or Microsoft Dynamics GP. Make sure you're ordering the Great Plains checks that work with the version of the software you're using. 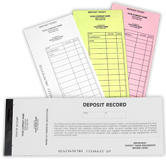 Your Great Plains checks and vouchers will be sequentially numbered and are personalized with your company name. Add a logo to your new checks and get a customized look! 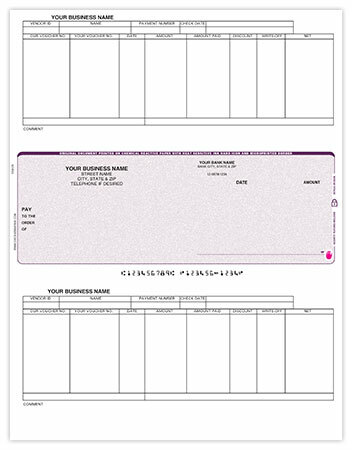 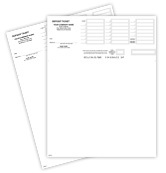 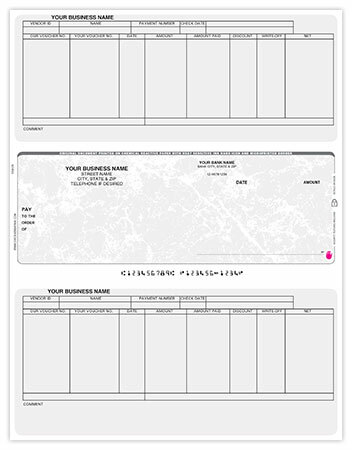 Order Great Plains v2&3 Accounts Payable Checks now!